The Corfe Castle Town Trust was established by the Charity Commissioners in 1889 to maintain the smallest Town Hall in England and other historic sites in Corfe Castle. Over the past 350 years Corfe Castle Town Hall building has housed, among other things, the meetings of the Mayors and Barons of Corfe Castle, the Courts of Justice, (and the lock-up), the Parish Council and Purbeck Marblers. The Town Hall now houses our Museum on the ground floor, (free entry all year round), and our Meeting Room on the first floor, (the Meeting Room can be booked for talks, courses and small exhibitions as well as meetings). 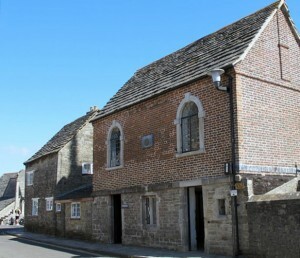 The Town Hall building was refurbished in 2006 by the Corfe Castle Town Trust both to preserve the historic structure and to create an asset that will be used by villagers for generations to come. Please have a good look round our website to find out all about what we do to preserve the wonderful history of Corfe Castle Village. There’s always a lot going on at Corfe Castle Town Trust, so check back regularly to see what’s new!